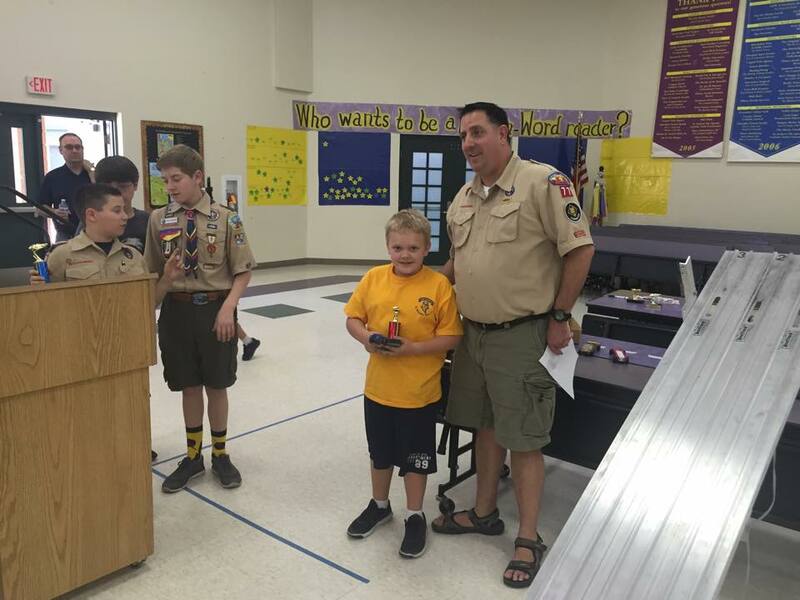 2015 Pack 77 Pinewood Derby! 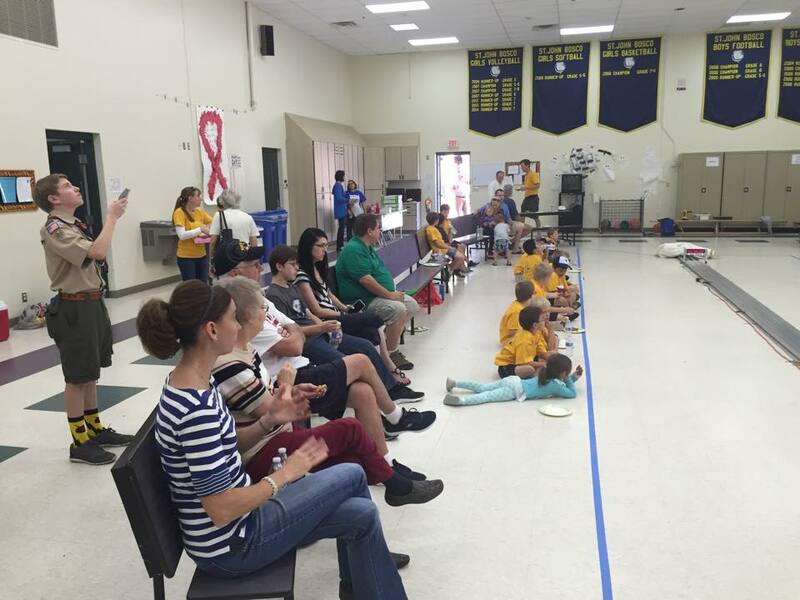 Racing in a Cub Scout derby is great fun! You’ll get to design your racing vehicle, work with a parent to build it, and see it perform on race day. Win or lose, you’ll take pride in having done your best. 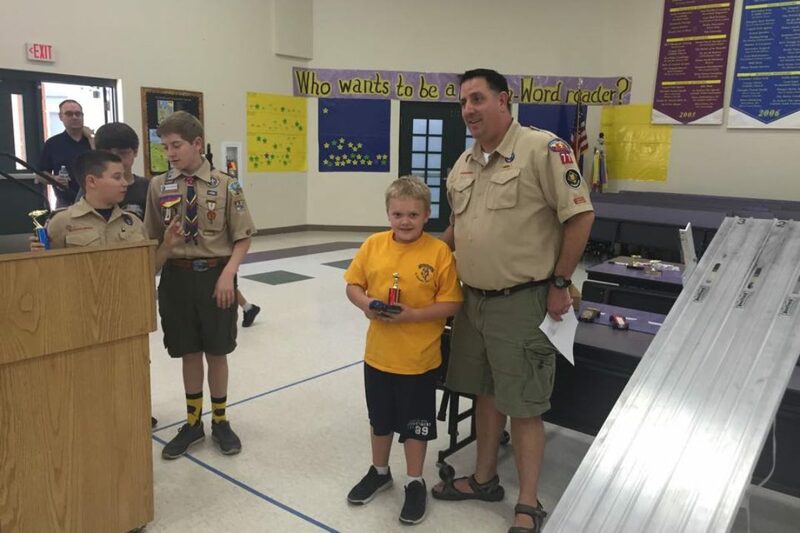 When you race in a Cub Scout derby, you learn craft skills, the rules of fair play, and good sportsmanship—things you will remember all your life. 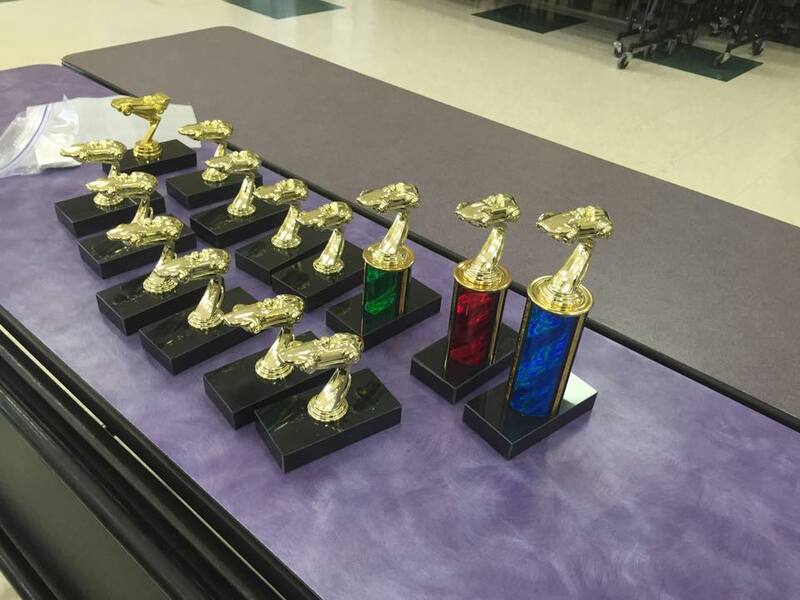 The main types of derbies are the pinewood derby, raingutter regatta, space derby, and Cubmobile derby. 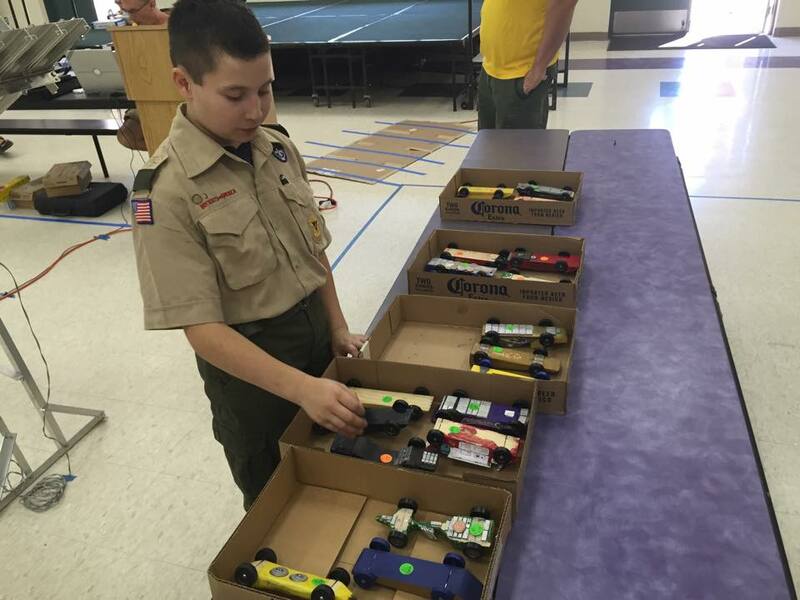 The pinewood derby is one of the most popular and successful family activities in Cub Scouting. 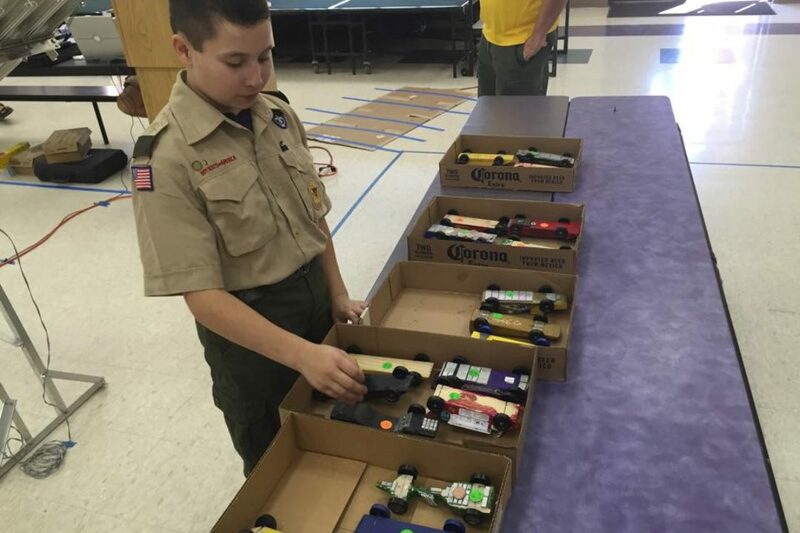 Pinewood derby cars are small wooden models that Cub Scouts make with help from their families. Then they race the cars in competition. The cars are powered by gravity and run down a track. 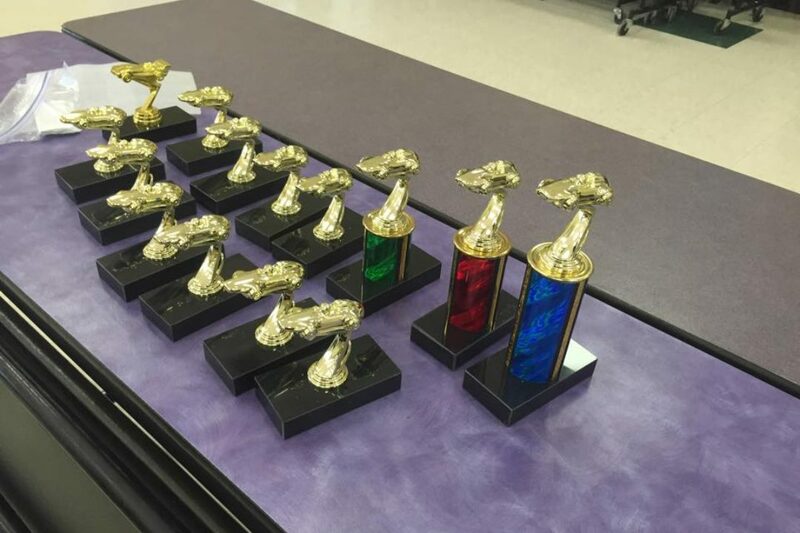 Most packs have a pinewood derby every year. It can be run indoors or outdoors. Every boy can design and build his own “grand prix” car to enter in the race. Kits and supplies for the pinewood derby, raingutter regatta, and space derby are available from the national Supply Division. See their Web site at www.scoutstuff.org . 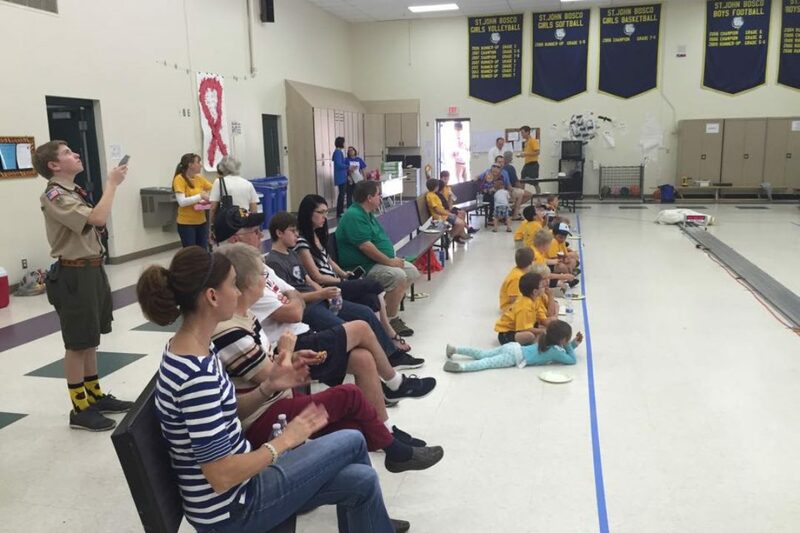 Each family that competes in a Cub Scout derby follows a set of simple, easy rules. 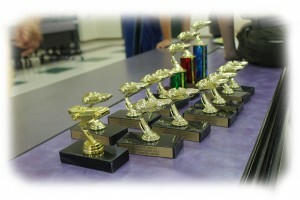 The winners get prizes, and every boy is recognized for taking part. Always remember that in Cub Scouting, it’s more important to “Do Your Best” than to come in first. The big thing about a derby isn’t the competition or the prizes. It’s the fun you and your family will have. 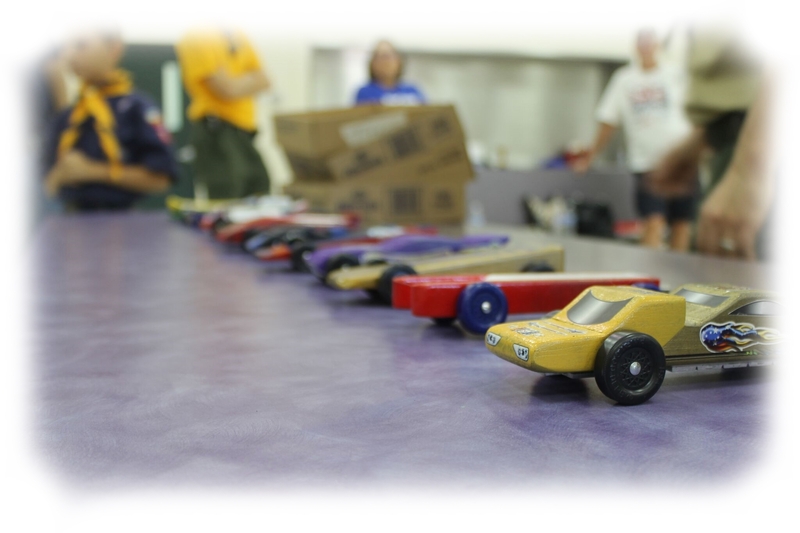 You can find more about derbies in the Cub Scout Grand Prix Pinewood Derby Guidebook No. 33721.